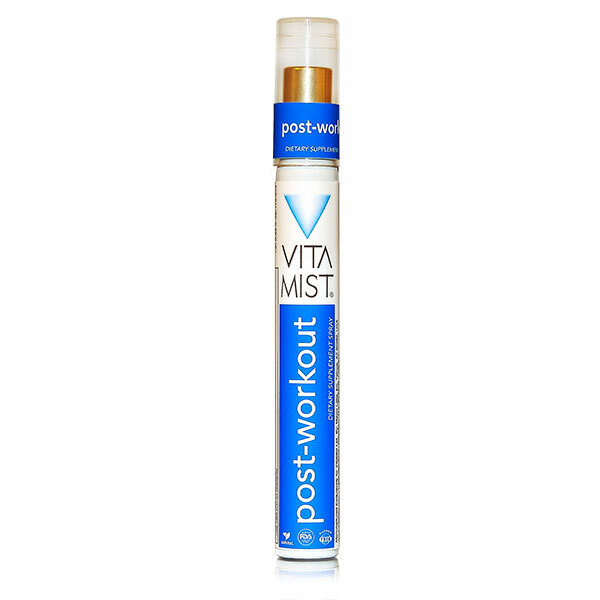 This spray provides rebuilding amino acids to help speed up recovery after exercise. Recommended Use: 2-4 sprays directly into mouth after exercising. INGREDIENTS: Vitamin E, Vitamin B1, Vitamin B12, Vitamin B5, Creatine Pyruvate, L-arginine, L-ornithine, L-isoleucine, L-leucine, L-lysine, L-methionine, L-phenylalanine, L-threonine, L-valine, Extract from Damiana, Eleuthero, Ginseng, Licorice, Oat, Schizandra, Skullcap.